Superb service. Magda, was instrumental for navigating our family issues with the IRS that had impacted us for over 8 years. We never had good advice from other consultants. Magda was able to resolve our issues in a very expeditious & consize manner. A tremendous burden was lifted of our shoulders in a conscious an effective manner. We highly recommend Magda for any issues you may have. Very personal & attentive to your needs. Experienced and Knowledgeable. Ms. Abdo-Gomez got us fast results and was able to deal with our situation in a professional and knowledgeable manner. We were 100% satisfied and recommend her heartily. You can be confident in her skills and experience and will be in good hands. Great & precise with every aspect of her work. I hired Magda to help me with a financial tax matter. She is very knowledgeable about current tax and financial laws. She explained the different options and which is best fit for my situation. She is straightforward, caring, professional and an expert. I would highly recommend her for any financial and tax related services. Excellent! Patient and thorough, Magda was the perfect fit for me and was so helpful in explaining all of the options with my case. She was always available for questions and I felt confident in her knowledge and expertise. Highly recommend! I endorse this lawyer. Magda is very knowledgeable and has very much experience in her field. During my consultation very responsive, knowledgeable and patient. I do not mind using her services if needed. I consulted with Magda Abdo-Gomez for questions and concerns I had over my taxes, and the filing of the taxes for my company. She provided detailed explanations and information. I’m satisfied with our consultation and would not hesitate to contact her again. A rare professional who truly exceeds expectations! We have been working with Magda Abdo-Gomez throughout the last 6 months. Although we read her glowing reviews prior to hiring her, she has still exceeded ALL expectations. She is without a doubt the consummate professional. Magda assisted us in several aspects of estate planning for both of my grandparents. This included drafting a Living Will, a Last Will and Testament, a Designation of Health Care Surrogate, a Durable Power of Attorney, and a Ladybird Deed. The time she dedicated to understanding our unique circumstances and needs is refreshing, and her experience and expertise across several areas gave us total peace of mind. She has made herself available over the phone and in-person while taking her time to ensure that we understood the process. My grandfather passed away this month and Magda has been extremely supportive and sensitive to our situation. Magda’s expertise and guidance allowed us to avoid several issues and has made a situation that’s already difficult much easier to manage. I now consult with Magda on all legal matters and recommend her to anyone seeking legal guidance and support. You truly feel protected working with her. Having the knowledge of Corporate Law. Magda Abdo Gomez was retained by us for the dissolution of the corporation. Her expertise in this field as well as her commitment to perform in a timely manner was exceptional. During this difficult process she has proven herself with her knowledge of the law and I do not hesitate to recommend her to anyone that is seeking legal assistance in this area. Thank you Magda. Excellent attorney. I have experienced a great relief since Magda handled my legal issues with claiming bankruptcy. She is highly efficient. Does what she says she is going to do and gets positive results. Magda is knowledgeable and will not mislead you or guide you in the wrong direction. I recommend her highly. The best!!!! Magda thank you for those months of hard work on my IRS case! Not only you saved me money but you teach not to get in the same boat again. I will recommend you 1 million times. Thanks !!!!! Always on Time. Every time we have consulted and hired her she’s on time and very professional. Very confident on the solutions and advice she has given us. Never have doubted her legal skills and her solutions to every issue we have presented her. I highly recommend Maggie Abdo-Gomez if you are facing a legal tax or bankruptcy challenge! She is extremely knowledgeable, honest and a zealous advocate. Excelente persona, estuvo dispuesta en todo momento y me ayudo en todo siempre dispuesta a contestar todas mis inquietudes , gracias. Translation: Excellent person, was willing at all times and helped me in everything always ready to address all my concerns, thanks. Magda Abdo-Gomez has the capacity to use her expertise in a holistic way. Her listening skills are outstanding; her good communication guides clients in every step with clarity. Using this unique skill, she helps others to make good decisions. Her empathy and caring for her clients are extraordinary, along with her honesty. Her knowledge exceeds the expectations. She has the insight to use the science and artistry to her work with her high ethical and moral standards. She has honorable intentions in every situation. Consulted with Ms. Abdo-Gomez on an unresolved and difficult personal issue. Her response was prompt, very thoughtful and resolved my issue. Would gladly recommend her. We had been to several law firms seeking an end to a tax burden we had borne since 2002, but each firm charged us an arm and a leg for the minimal work they put in attempting to resolve our case. The worst part was that they left us in the dark as to what (if anything) was being done for us. Attorney Magda Abdo-Gomez was completely different. She was a no-nonsense legal counsel, but also a people person. By that we mean that she was upbeat and optimistic, but honest. She delivered good news as well as bad with an even hand. She gave us timely updates that served to keep us informed at every step along the way. She told us what to expect and why. No one had explained why we were in this situation in a way that we could understand. Magda did so with neither blame nor condescension. As a former IRS attorney, Magda knew the rules and made sure that the IRS played by them. She was intelligent, diligent, and she worked tirelessly on our behalf. In the end, we won. Our tax situation was resolved and we could get on with our lives after a decade and a half of sleepless nights due to a heavy and perplexing tax burden. We highly recommend her. Ms. Gomez is a highly respected attorney in S. Florida handling taxation matters. She previously worked as an IRS attorney. I recommend her legal services to any business that is involved in a tax dispute with the IRS or wants to understand its tax-related obligations to avoid any such dispute. I have worked with Magda in several occasions and she is an awesome amazing Attorney. She is there to help you give you service and advice and is there for you at all times. Cannot ask for a better attorney I highly recommend her. Attorney Abdo-Gomez is an excellent tax, bankruptcy and estate planning attorney. She has a wealth of knowledge in these practice areas, and I was very fortunate to have her as my law professor. I endorse Attorney Abdo-Gomez and wholeheartedly recommend her for all your legal needs. Magda knows her stuff. I went to her after my mother passed away. She expertly took care of her will and her estate which was no simple task. She knew what needed to be done and met all the legal deadlines. She listened to me and eased all my concerns. I would use her again and I highly recommend her. She is a wonderful lawyer; she took the time to explain in simple, easy to understand language, what my options were regarding my case. I never had to wait days to hear back from her if I had a question and I always felt like my case was her top priority. LIKE I SAID IN MY LAST REVIEW FOR MAGDA ABDO-GOMEZ, SHE’S NOT ONLY AN EXCELLENT LAWYER, BUT ALSO A GREAT PERSON, I DIDN’T EVEN KNOW HER, THIS IS MY FIRST TIME WITH HER, BUT SHE WAS KIND AND VERY UNDERSTANDABLE ABOUT WHAT I REALLY WANTED, THANK YOU MAGDA FOR BEING SO PROFESSIONAL !!!!!! It is without hesitation that I endorse Ms. Abdo-Gomez. Magda is knowledgeable and professional. She is highly respected in the legal community and has earned that respect due to her legal acumen and dedication to her clients. She provided counsel and guidance in a professional and competent manner. Why do I know she did? Because I did get excellent results in my favor, and comparing to previous lawyers advice and professionalism, hers was excellent. She also demonstrated a high level of integrity…rare in today’s world! Magda Abdo-Gomez aggressively pursues every angle of a case on behalf of her clients. She is thorough, detail-orientated, and works tirelessly to protect her clients rights. I highly recommend her. Magda Abdo-Gomez is a great lawyer with excellent judgment and legal ability. She is an attorney of the highest caliber, well-respected in the legal community. I wholeheartedly endorse her. I endorse this lawyer. She has a devotion to her practice, her clients, and most of all, her students. Moreover, Madga understands the compassion needed to make her clients feel comfortable thru the legal process. Hired Ms. Abdo-Gomez to help my mom (77 yr old) with a Living Will, Power of Attorney and a Lady Bird Deed. She was very thorough and did a wonderful job explaining to my mother what everything was and why she should have it. We were able to explain everything we needed/wanted over the phone and she advised what would be best for her situation, so when it came time to meet all my mom had to do was sign the paperwork. When she met with my mom she was very patient and explained everything in a way my mother was able to understand. She guided me as to how to file the necessary paperwork and what to do when the time comes that I will need to use it. She was able to anticipate questions we didn’t even know we had. I would not hesitate to hire her again or recommend her. I fully endorse Attoney Magda Abdo-Gomez. She is an expert in tax related matters. In particular she has expertise in tax issues pertaining to bankruptcy. Magda Abdo-Gomez represents clients facing complex legal, and business issues. The most critical aspect of the attorney-client relationship is communication and regular interaction, which she prides herself on. Maggie excels in all areas of her practice. A consummate pro. Magda is a very professional and experienced tax attorney. She is also practical and understands business which allows her to assist her clients in a comprehensive manner. I highly endorse Magda Abdo-Gomez. Magda is the consummate professional. I live in Los Angeles, my very elderly parents live in Miami. I needed Magda to write up a very detailed but comprehensive Durable Power of Attorney for them to sign since they had been removed from their home by adult protection services and were placed in a hospital. I took an immediate flight to Miami and Magda did the unthinkable– she agreed to meet with me and my parents on a SUNDAY at the hospital to have the DPA signed. Her demeanor is professional but warm, caring and very understanding of these sensitive situations. I would hire Magda to represent me in any one of her law specialties. Outstanding professional who is truly dedicated to her clients and code of ethics. Do not think twice to hire her. She gets it done. Magda Abdo-Gomez was retained at the beginning of a very stressful time in our lives. Having been forced into an ABC process, Maggie has the knowledge, expertise and vision to guide us through this very difficult ordeal. We still have a few months to go before the process is finished, but feel reassured and secured that with Maggie in our side the best outcome will be achieved / obtained. Maggie is a great asset to have next to you, at all times. I endorse this lawyer with no reservation. It was an honor and privilege to have Magda as a law school professor. She is an extremely knowledgeable, and well respected attorney in the legal community. Magda Abdo-Gomez’s picture makes her look like a Mom that probably spoils her children, but don’t let her sweet looks fool you. When it comes to solving financial problems, she has the knowledge and experience to knock the socks off of any creditor. I am delighted to endorse Ms Abdo-Gomez. The tax law community is a small group and you quickly learn who knows their stuff. Magda’s answers on Avvo are timely and accurate. I endorse this lawyer. Because of health issues, I found myself facing a possible bankruptcy. A lawyer friend recommended Magda Abdo-Gomez. Although it being a difficult experience, Magda helped me to go through it relatively painless. She was both very professional and human. Her understanding of the process, her ability to explain it, and handle questions and answers in a truthful and direct way were a great help to me.  In my opinion, Ms. Abdo-Gomez is an excellent, efficient and honest lawyer. Magda was amazing; she took the time to explain all the options, pros and cons of this very difficult process. I’m very pleased with her service and especially with her professionalism and knowledge. Before scheduling a consultation, Magda Abdo-Gomez clearly explained my options and answered my questions with expertise and professionalism. She was also forthright and extremely helpful over the phone. I highly recommend Magda Abdo-Gomez as a lawyer. I endorse this lawyer. Her answers to questions posed are very informative and well thought out. I endorse this lawyer. Why? First, if you needed surgery would you go to a surgeon who has done 2 of them or 200? Thus, she has experience which as a result leads to full and complete and accurate advice. Her answers on AVVO demonstrate such knowledge too. Having practiced 29 years and filed over 8,400 persons bankruptcies I appreciate other experienced such attorneys! Second, for those with tax issues, and bankruptcy considerations, accurate bankruptcy tax attorneys are hard to come by..so you will get both if you need such advice. That is crucial as for example some income taxes that may be non dischargeable now will be dischargeable usually in the future at a certain date..a date that must be accurately determined to the day. It is with great pleasure that I endorse Madga Abdo-Gomez as a very experienced and accomplished tax attorney. I would trust her with my clients, family, and friends and do not hesitate to recommend her. Magda was professional but also compassionate understanding my case. She was terrific in every researching prior cases for support documentation. My husband and I were new to the area 25 years ago, I heard about this successful lawyer who had been in the newspaper with a difficult bankruptcy case. Her name; Magda Abdo-Gomez. I contacted Magda about our legal issues. Excellent and Professional Magda, solved the situation to our satisfaction. To this date, Magda has always continued servicing our legal concerns with her expertise and thoroughness. Today, we can’t help but recall the time when we walked into Magda’s office with my two small children who are now two successful professionals while Magda continues being the best lawyer ever known. Ms. Abdo-Gomez is not only experienced and knowledgeable, but she is also a zealous advocate for each of her clients. I highly recommend her. I called Magda regarding a payroll tax issue I had from a prior company I had owned. I had previously used another attorney and was not happy with how he was proceeding with regard to the issue and the IRS. I am a CPA and am knowledgeable about the procedures. Magda took all the information from me. Spoke with the IRS and met with them. She told me what was needed and we worked at it together. She kept me well informed. She was extremely knowledgeable about the documentation needed to be presented and ultimately was successful with the case. I highly recommend her. I endorse this lawyer. Knowledgeable, reliable, and experienced Tax and Bankruptcy attorney. A supportive mentor to her students. I endorse Magda Abdo-Gomez. She is well versed in the law and an asset to the legal community! I endorse this lawyer. Magda is a special person and attorney. She cares deeply about the work she does and wants to assist all those who reach out to her. I endorse this lawyer. She is highly competent and very professional. Attorney Abdo-Gomez was very helpful in a legal issue that I had in 2010. She provided expert advice and handled the documentation in a very timely manner. Ms. Abdo-Gomez kept me updated consistently and walked me through the legal process and paperwork. I have recommend her to others since then with no hesitation. I endorse this lawyer. She is very knowledgeable in the field, always prepared and has always conducted herself ethically while zealously defending her client’s interests. I consider Magda Abdo-Gomez an excellent attorney. A few years ago, she helped my wife and I to file for bankruptcy and was done in the most professional way. I would highly recommend Magda as a very qualified attorney. We used Magda Abdo-Gomez in a lengthy and complicated probate case that spanned 3 different states. She was quick to complete her end of the case in Miami and was extremely knowledgeable in the law regarding the complexities of this case. She let us know every issue and detail that needed to be addressed so we could move forward as fast as possible. You will find no more loyal and dedicated attorney in my opinion. Maggie truly believes and works hard for her clients. She has decades of experience in Bankruptcy and tax law. Magda was a God-send when the real estate market crashed and we found ourselves in a financial mess. She worked diligently to save our house from being foreclosed on and patiently worked with us as we went through bankruptcy. Magda took the time to walk us through months of paperwork, legal forms and phone calls with banking institutions. She went above and beyond. She is an excellent attorney; thorough and a stickler for details. She is trustworthy, honest and was always there with moral support. I feel Magda Abdo Gomez is an excellent professional. I have worked with her on many occassions over the years and I have found her extremely knowledgable and trustworty. I have referred her to many of my clients. Jorge L. Contreras, C.P.A. Ms Abdo helped me through the maze that is the tax code and minimized my tax liability. When the IRS comes calling I call Ms. Abdo. I would highly recommend her to anyone dealing with business or personal cases. She was professional, helpful and overall very easy to work with. Maggie Abdo-Gomez is my go to person in Bankruptcy and IRS tax matters. As a law school professor and with her years of legal experience at the IRS, her experience and real world approach is why I endorse this lawyer.